Jess Hurd is a photojournalist and campaigning photographer, supplying images and photo-essays to international newspapers, magazines and NGO’s both commissioned and through her library Report Digital. In the international sphere, she has worked at the global political grassroots – the uprising in Egypt, the Bolivarian revolution in Venezuela, the Zapatistas in Mexico and urban social movements in Brazil, India, China and Africa. She is a member of the National Union of Journalists. This year we celebrate 30 years of women in the fire service. 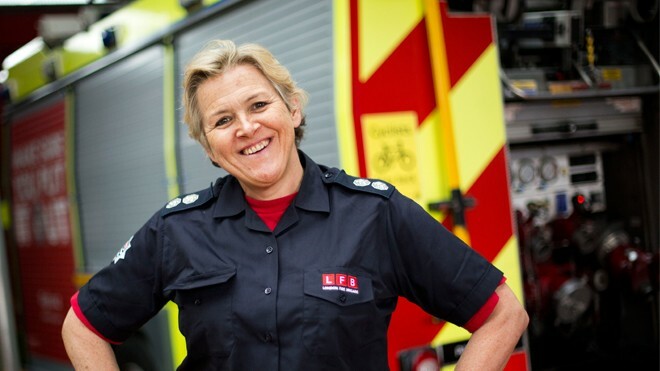 It is also time to say farewell to Paddington, London, White Watch manager Sian Griffiths, who is retiring after 30 years.